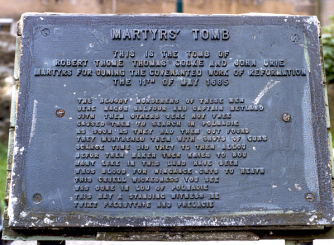 Robert Thom, Thomas Cooke and John Urie were three Covenanters who were apprehended in the Loan of Polmadie in May 1685. They were to be shot at that location at the command of Major Balfour and Captain Maitland. 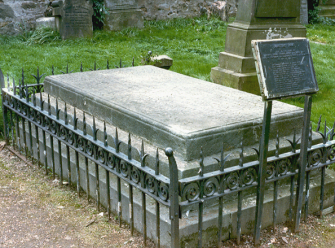 The flat graveston to the three Cathcart martyrs is lcated in the old churchyard. Access to this graveard is sometimes difficult due to it being locked.